TRAINOSE, wanting to strengthen alternative forms of tourism, to highlight the role of the train as an integral part of local and regional cultural activity and to focus on the promotion of products of the Greek land organized, in collaboration with Olympia Development AE and with the local authorities of Ilia, a wine tasting event. 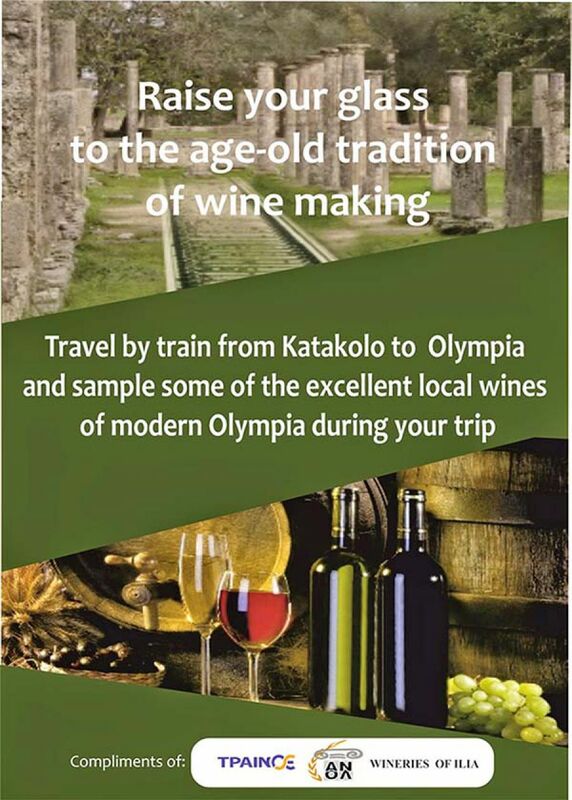 From 4 to 9 September, on the train-route Katakolon – Olympia, passengers will be able to try the famous wines of wine makers in the region, accompanied by local delicacies free of charge. Moreover, at specially designed areas at the port of Katakolon and the station of Ancient Olympia, wines which will be exhibited by producers will be offered for testing and flyers for the production of wine in the prefecture of Ilia will be distributed. The event will be accompanied by a photo exhibition on the history of the railroad of Pyrgos – Katakolo – Olympia. With this event, TRAINOSE and local agencies will target cruise ship passengers who use the train to visit Ancient Olympia, but also all rail passengers in a joint initiative for the promotion of the quality local products and tourism development. The construction of the first railway line in the Peloponnese began in the late 19th century under the railway development plan of Charilaos Trikoupis. The steam railway of Pyrgos – Katakolon whistled for the first time in Pyrgos in November 1882, covering the increasing transportation needs for Greek currant trade abroad. Katakolon Station, which was located on the harbour, celebrated the arrival of the first train carrying the currant harvest every year. Today, in the 21st century, the contribution of the train to the development of the local community has changed character. Modern diesel trains of the line Katakolon- Olympia serve local passengers, but especially the traveling public on tourist cruise ships arriving in Katakolon, giving them the opportunity to visit Olympia and Pyrgos. 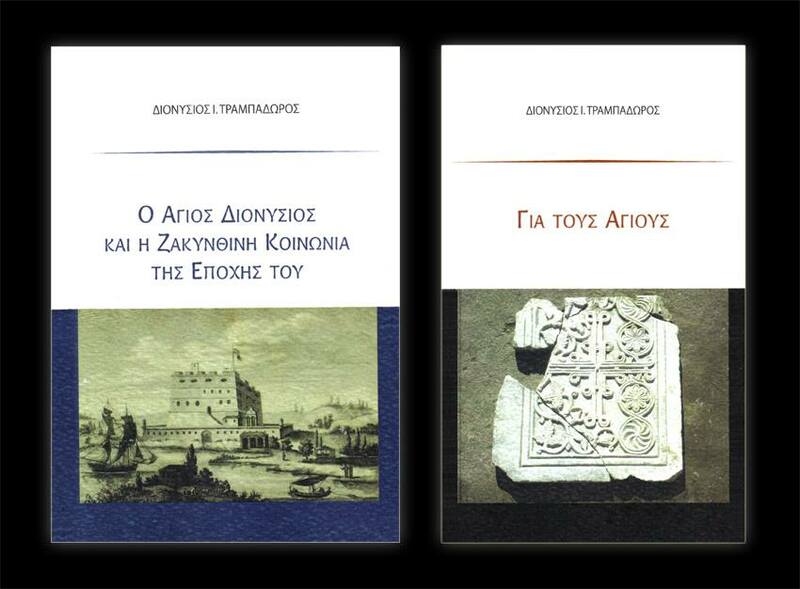 The traditional convenience store “Edeatros” and the bookstore “Lexis” invite you to the presentation of two books written by Sakis Trampadoros, “Saint Dionysios of Zakynthos and the society of his time” and “On Saints“. The event will take place on Monday, August 11 at 20:30, on the pedestrian road next to the Archaeological Museum of Pyrgos (1 Metaxas Street). A comprehensive reference to the issues raised in these two books is scheduled for the presentation. The discussion will be opened by the journalist-author Mr Michalis Maniatis, the philologist Professor Augerinos Anastasopoulos and the author Mr Sakis Trampadoros. The event will be coordinated by the journalist Mr Panagiotis Foteinopoulos. The Ancient Theatre of Epidaurus aims to highlight and promote the work of young artists and to present contemporary trends in dance, music and theatre through the invitation of, and collaboration with interesting artists and performance companies. The Ancient Theatre of Epidaurus is situated within the archaeological site of the Sanctuary of Asklepios, in the Argolis prefecture of the Peloponnese. It is a half-hour drive from Nafplio and approximately three hours from Katakolon. This year, the tragedy will be directed by Lydia Koniordou in the ancient theatre, where the main roles will be played by herself, Leda Protopsalti, Nikos Kouris, Themis Panou, Sarantis Michalis, Phaedon Kastris, Evgenia Apostolou, Noni Ioannidou, et al. Based on The History of the Peloponnesian War by Thucydides A project directed by Roula Pateraki based on the classic work by Thucydides which narrates the events of the catastrophic war between Athens and Sparta (431-404 BC). The play is in three parts, and is expected to be performed over three consecutive festivals (2014-2016). What can save the city? The momentum of modernisation or the grandeur of the past? Euripides or Aeschylus? Realism or the supernatural? The dilemma posed by Aristophanes in The Frogs takes centre stage in Yiannis Kakleas’ production, which examines the importance of art in times of transition such as ours. The power of art, the poorness of modern critique, theatre as an artistic and political act, comprise elements of a performance that explores new theatrical forms and the value of verse, while demonstrating the timelessness of Aristophanes’ quandary. Armed with a powerful cast and a willingness to take directorial risks, Angela Brouskou takes on the Bacchae (405 BC) in Giorgos Cheimonas’ translation. The adversaries, Dionysus and Pentheas, are played respectively by Aglaia Pappa and Aristeidis Servetalis. 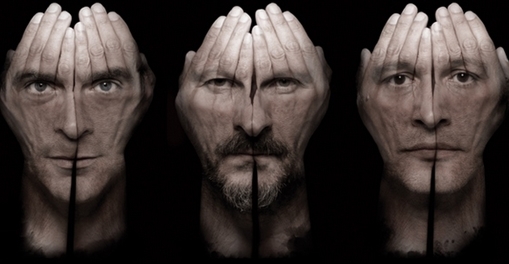 In the wake of her Trojan Women, Nikaiti Kontouri returns with another anti-war tragedy, this time with male protagonists played by Giannis Fertis, Akis Sakellariou and Lazaros Georgakopoulos. As part of the Katakolon Port Festival “Oneirodromio” will carry out a creation & expression workshop for children aged 7 years and over on Wednesday, July 30, at 7:30 pm. By playing with simple natural materials and using creative writing techniques, they will enliven through color, lyrics, drawings and inspiration our own summer pictures. Bring only your imagination along. Head of the workshop is the theatrologist Vicky Petropoulou. (Total: 15 children). Interested parties should register at: 6981044266. 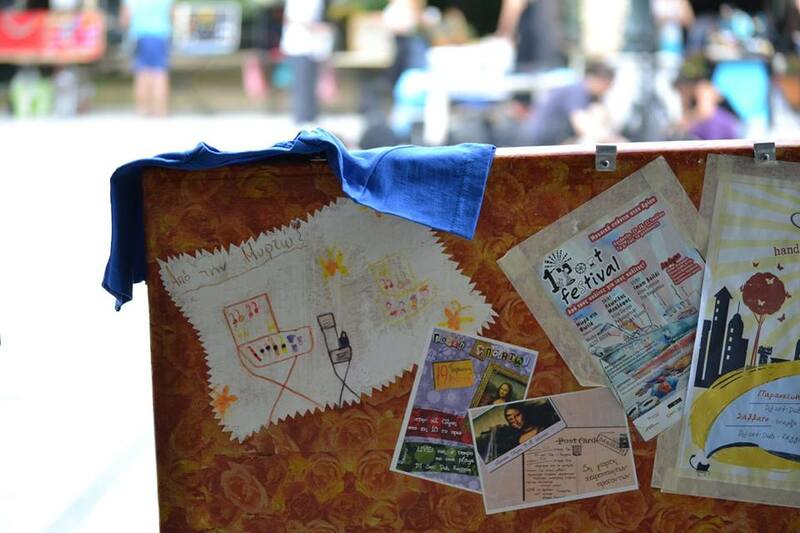 In the framework of the Katakolon Port Festival a two-day creative workshop from recyclable materials will take place, headed by Litsa KASTRITSA. The workshop will be held on Wednesday 30 and Thursday 31 July from 7:30 pm and is all about handmade creations from papier-mâché, for people aged 15 and over. Bring newspapers, magazines, cardboard, wrapping paper, scissors, disposable gloves, paints, glitter and any other decorative item you wish. The glue will be made using flour, while the brushes will be available at the workshop. Interested parties should register at: 6940720331 or Ms KASTRITSA’S profile on FB (Litsa Kast). At the booth of the Olympia International Film Festival for Children & Young People a 3-day an animation – stop motion workshop will be held from the team members of Zizanimation18 +. Both young and old visitors of the booth will have the opportunity to create their own stop motion short stories through a “magic” box. Several performances and concerts that stir your interest take place once again this summer at the Festival of Ancient Olympia. “Antigone”, Giannis Haroulis concert, Stavros Xarchakos concert and “Guess who is going to die tonight” by Papathanassiou – Reppas are just some of the very interesting events. Domaine Mercouri is happy to open its doors and present the Canadian director, researcher and founder of the Institute for Exploratory Cinemas (Canada), Pierre-Luc Vaillancourt (1985). Organizing for the second consecutive year the artists residency program in collaboration with the platform Create an Accident, it brings artists from around the world to the local community and builds bridges of dialogue between different cultures. This year’s guest Pierre-Luc Vaillancourt will present his multifaceted involvement with Canadian experimental cinema at the Station of Literature and Art at the Domaine Mercouri. In the first part of the event, the audience will have the opportunity to watch the video installation from the director of “NINE BLACK EGGS”. A small tribute to the experimental cinema of Canada, from 1960 to today, and a discussion with Pierre-Luc Vaillancourt will form the second part of the event. It will conclude with the showing of, for the first time in Greece, the short film “LA NUIT OBSCURE” (29 min. ), which is based on the provocative novel by Georges Bataille The Dead. 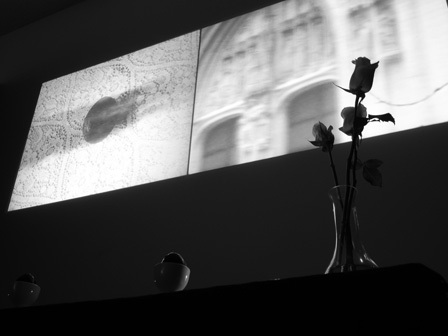 The films and video installations of Pierre-Luc Vaillancourt have been presented in Japan, Croatia, Poland, Russia and Sweden. In recent years, he has curated more than fifty film events and tributes around the world, organizing screenings and collaborations that test the limits of experimental film and broaden the ties and practices of the artistic community. The event is addressed to adults. For every traveller who visits Katakolon, ThalassaShop offers the opportunity to take home unique handmade souvenirs as a sweet holiday reminder or to present to loved ones. 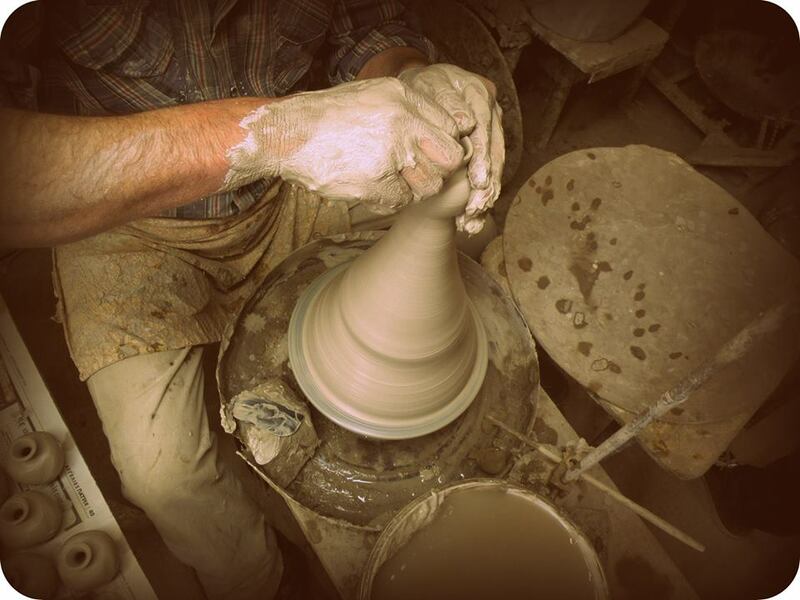 Take your time to browse the pottery & ceramics hand crafted by local artists. Find a variety of practical and decorative products made ​​in the region of particularly distinctive taste and low price. The olive tree is considered a gift from the Gods to humans and is the symbol of peace, wisdom, victory, fertility and longevity. 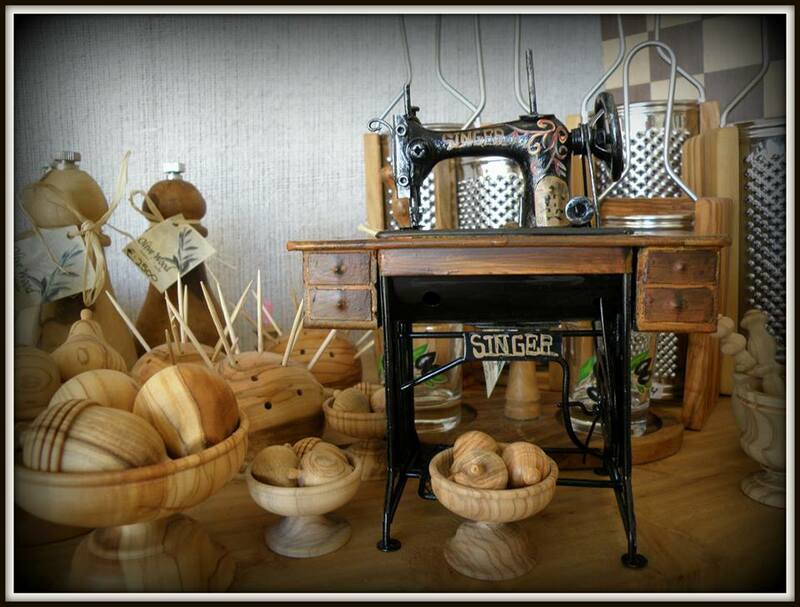 You will find traditional functional products made from olive wood (cutting boards, spoons, cups, and much more). All made ​​by hand, they are known for their beauty, antibacterial properties and durability in time. Also available is the Extra Virgin bottled olive oil of the local “Koroneiki” variety; a valuable asset with beneficial properties. Natural cosmetic products based on organic olive oil and Greek herbs. 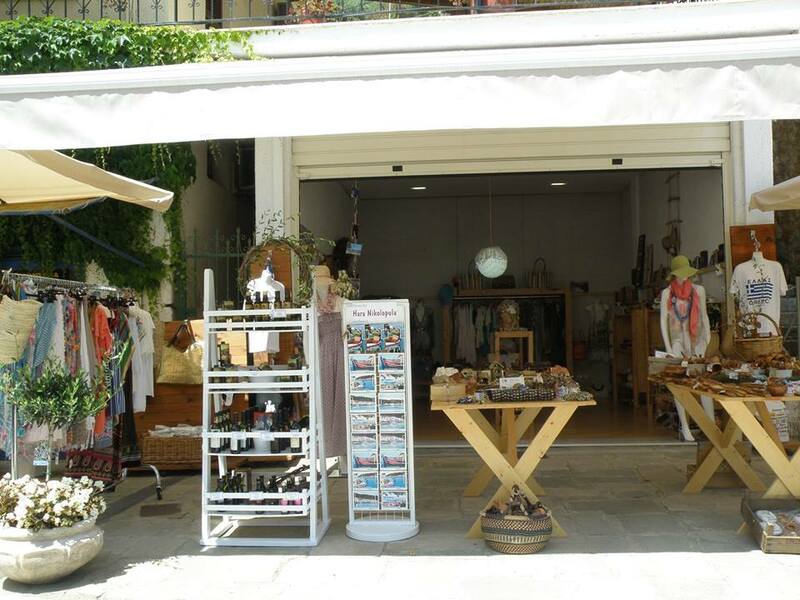 ThalassaShop, located right next to St. Nicholas church, remains distinct and is characterized by the “MADE IN GREECE” label. Katakolon Greece∼ all you need to know for a great holiday! Katakolon is a small picturesque fishing village at the west coast of the Peloponnese, where many cruise ships anchor to visit Olympia, the birthplace of the Olympic Games. Until the end of the nineteenth century this harbour was very important for the export of currants. After the currant trade collapsed, the warehouses were converted into souvenir shops. Welcome to the quaint seaside town of Katakolon, not far from Olympia the birthplace of the Olympic Games. Today our prefecture of Ilia is blessed with rich vineyards, olive trees and plenty of rich vegetable farmland and fruit trees, as in the past. Our products are cultivated with love of and respect for nature, without the use of synthetic pesticides or fertilizers, symbolizing the Olympic Ideal of moral nobility and purity, as well as physical endurance and energy. These certified organic products include olives, extra virgin olive oil, wines, honey, dried black currants, herbs, teas and soaps with a unique natural flavor and aroma. We invite you to vitalize your senses and experience each product’s special quality. Come join us and who knows, you may find yourself wreathed with a wild olive branch from the tree that Hercules himself planted in Ancient Olympia.